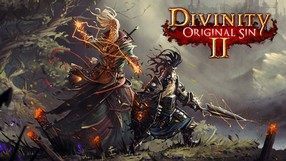 Tactical spin-off of Divinity series, which is the result of cooperation between Larian Studios and Logic Artists team. The game allows you to lead a group of heroes on a journey to unknown corners of the world of Rivellon, where we will face a new threat. An enhanced edition of an 2014 RPG by Larian Studios, which, unlike the original, appeared not only on PC, but also on consoles. In terms of the story the game is a prequel to the Divinity series. Players control two young Source Hunters, who have to investigate a mysterious death that occurred in one of the cities in realm of Rivellon, and explore a forbidden art of magic in order to counter its effects. When it comes to gameplay mechanics, the game goes back to the roots of the Divinity series employing isometric view. While playing, you command a team of up to 4 characters, navigating through the interactive environment and listening to conversations between your team members. When compared with the original release, Enhanced Edition offers new subplots, new quests and an alternative ending. Furthermore, local co-op mode was added, as well as gamepad support and the game features enhanced audiovisuals. Dynamic RPG action set in the realities of fantasy, by Larian Studios. In the game we play the role of the Dragon Knight, who sets off on a long journey through the land of Rivellion, full of magical characters, creatures, tasks and objects. The special edition consists of the main game and the Flames of Vengeance plugin, in which we get improved graphics, as well as an hour-long epilogue filled with new tasks, characters and treasures. Another entry in the series of cRPG games developed by Larian Studios. 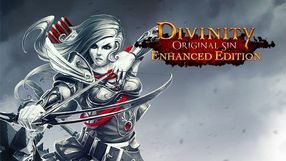 The title is a sequel to the games Divine Divinity from 2002 and Beyond Divinity from 2004. Divinity II: Ego Draconis takes place in the fantasy realm of Rivellon, about 50-100 years after the events from the previous games. In the game the player assumes the role of a dragon slayer who gains the ability to transform into a dragon himself. This enables him to fly and use various dragon abilities. Contrary to the previous entries in the series, Ego Draconis is a third-person perspective action RPG focused on combat. The player can use various melee weapons and spells. Because the game is a RPG, a large part of the gameplay consists of speaking with encountered characters and completing main and side quests. The players' decisions can impact the story and define the way other characters think about them. Next, after Divine Divinity, the work of Belgian-German development studio - Larian Studios. 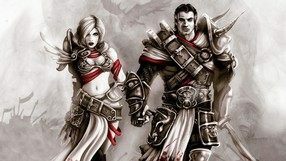 It is a cRPG game set in the same fantasy realities as Divine Divinity and is a kind of a link between the first and second part of the series. Divine Divinity is a cRPG game set in a fantasy world full of intrigue and black magic. There is chaos in this world, which is why it will be up to the player to follow a path that will lead to the restoration of order and order.